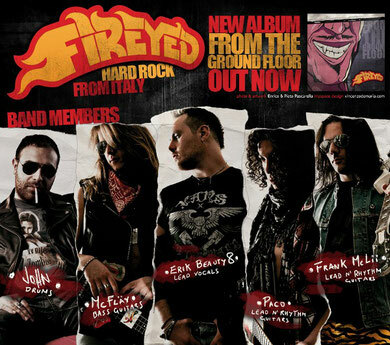 The band FIREYED from Italy and have released the first full length album "From The Ground Floor" from Heart Steel Records worldwide in 2011. 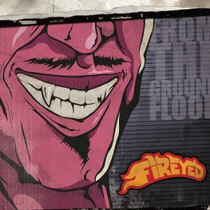 The project started in 2006 with the goal to recreate, the spirit and sound of the 80's rock'n'roll in the first place. The band had a chance to have the UK tour twice so far. After That they are promoted on the stages of the Italian scene, crossing from north to south the boot and giving the band considerable self-confidence and made it's popularity grow in the homeland. This album is now available on amazon.com. FIREYED will be back to the UK again in May.